Sheds and shacks can be a saving grace for home owners, creatives, gardeners, or contemplatives. Have you considered a small space recently that could give you on-site storage or reprieve from the rat race? 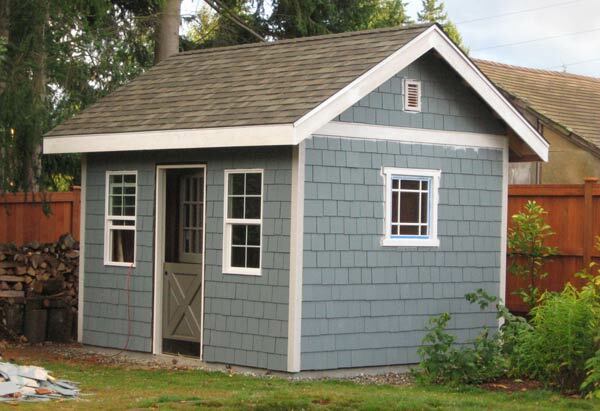 Gaetan Veilleux designed and built himself a sweet little 10×12 garden shed in Edmonds, Washington. His father was a master carpenter/cabinetmaker so Gaetan learned a lot about building growing up, but that was over 30 years ago. He looked to books from the library and the internet to relearn things such as installing windows, hanging a door, and building the roof. Gaetan’s wife, Deborah Binder, helped source some of the materials like finding roofing materials through Freecycle and Craigslist. 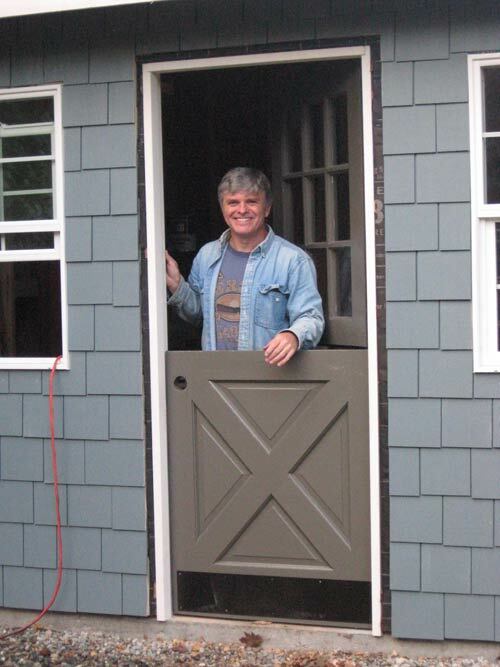 Deborah revitalized the dutch door, also known as a stable door or a half door, that she found at The RE Store in Ballard. The door restoration required that she learn how to cut glass and reglaze the multi-paned upper half of the door. The shed also has a Velux skylight (Oooo… fancy!) that the couple bought from a local window and door store. It was out of the box and had been used as a showroom demo. They scored it for 75% off the list price. The windows came from The RE Store as well.